The RSU 56 board of directors approved a budget of $13.39 million for FY 2019-20. PERU — The Regional School Unit 56 board of directors voted 8-2 on Tuesday night to proceed with a proposed $13.39 million budget for 2019-20, a 9 percent increase from current spending. If approved by voters, the proposed budget would represent a 24.84 percent increase in tax assessments to the RSU 56 towns of Canton, Carthage, Dixfield and Peru, according to Business Manager Mary Dailey. Dailey said the nearly 25 percent increase in tax assessments is due in large part to reduced state subsidies to the district. 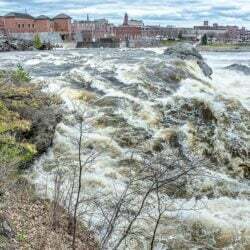 District officials estimated the proposed budget would boost annual taxes on property valued at $100,000 by $470 in Carthage, $373 in Peru, $350 in Dixfield and $215 in Canton. 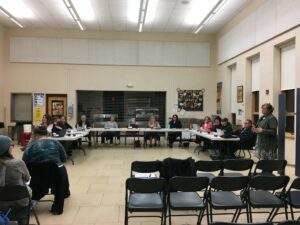 Board members Carl Lueders and Natalie Sneller of Canton, Marianne Young of Carthage, Barry Prescott and Samantha Noyes of Dixfield, and Angela Cushman, Becky Halland Deb Mooney of Peru voted to approve the proposed spending plan, while Angela Varnum and Bruce Ross, both of Dixfield, voted against it. Even with a 9 percent increase in spending, some administrators are unlikely to see certain budget requests granted, such as new Apple iPads at Dirigo Elementary School, new math textbooks at Dirigo High School, and boiler and site improvements at T.W. Kelly Middle School. Also in jeopardy: Reinstatement of most or all of the junior varsity sports at the middle school and high school, which were cut two years ago for financial reasons. Doyen said some JV teams at the high school, such as basketball and baseball, have large numbers of participants and might be brought back, depending on the number of students wishing to participate.